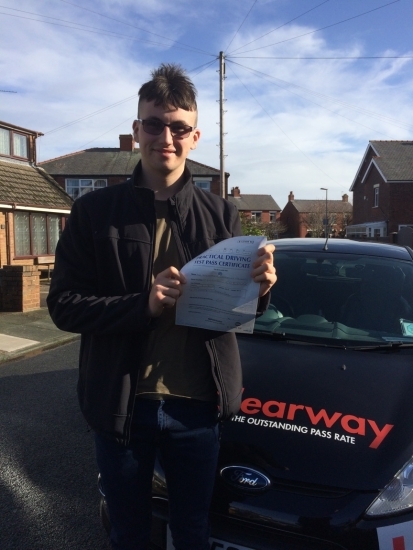 I passed my test 1st time on 5th March 2019 with Clearway Driving School. My experience with Clearway has been outstanding. My instructor, Fred is an outgoing and motivating person who strives to teach learners like myself, to be at their very best when driving. When you go out on a lesson Fred always greets you with a smile and makes your driving experience with him very enjoyable and is constantly motivating you to keep going even when you find specific aspects of driving difficult. Passed 5th March 2019.